I love getting feedback from my wedding couples. We’re delicate things, us creative wedding photographers, so there’s nothing that warms the cockles of my heart more than a heartfelt paragraph of effusive praise from a happy customer. 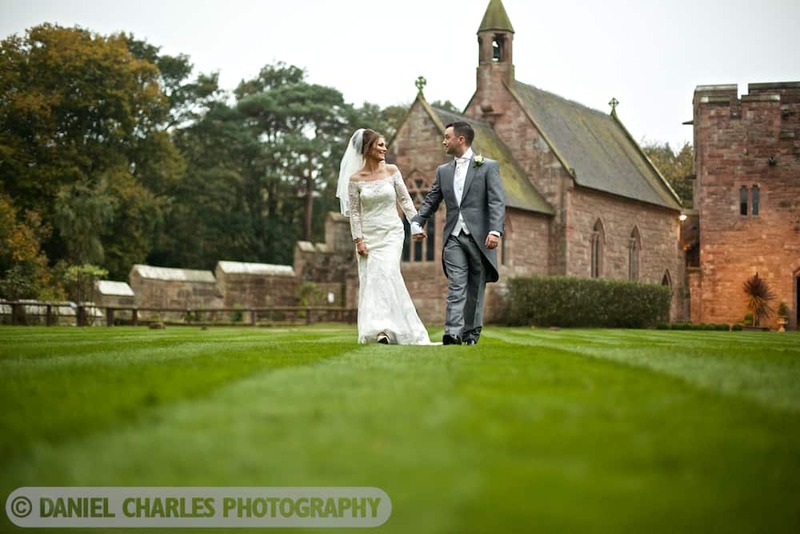 Dan recently did our wedding photography at Peckforton Castle in October. What an absolute pleasure he was. Genuinely one of the nicest blokes I’ve met. He was well organised and he kept in touch the whole time. Me and my wife were clueless on what we wanted but he helped us every step of the way. On the day he was brilliant; everyone loved him. Despite there being a few hiccups on our part with my daughter playing up, Dan was great and was really understanding. To top it off, he was fantastic on price, as we found when searching for photographers for the day, there’s a lot of really expensive people out there who didn’t seem to offer much in value or quality but this certainly isn’t the case with Daniel Charles Photography. 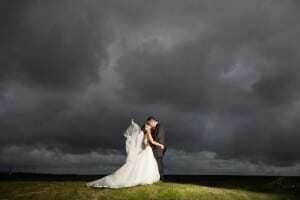 The picture quality was exceptional, capturing all the moments of the wedding that were important to us. Great price, great bloke and a great photographer. An honour to have had him capture our day! Just thought I would drop you a line to thank you for everything for our wedding day. From the first time we met for our pre-wedding sales meeting you made us feel relaxed and made us realise that we didn’t have to worry about that element of the day. You were contactable and easy going. To the actual day itself, from the word go, you were professional and made everyone who was there feel chilled. It felt like you were a guest as opposed to ‘working’! We haven’t got a bad word to say and it felt like I’d known you for years. Jen’s dad had said how relaxed you made him feel before his speech (although it didn’t help much :-)) and the couple of chats you had with him through the day helped him get through some parts of it. Also it’s nice to let you know that near enough all of the guests throughout the day (and after the day) have complimented you in some way or another. Whether it be your professionalism, or you made them laugh, or how you weren’t full on – many said you’re the best photographer they had seen at a wedding. I know your wife won’t appreciate me giving you a big head but credit where credit is due!! The same was true for your assistant who was faultless all day. I don’t want to ramble on and repeat myself although I sort of have but from the both of us I cannot tell you how happy we were that we chose you! People like to moan and give poor feedback but I think praise should be given when something’s been great and it certainly was that and more. Look forward to seeing you soon and you will be getting recommended left, right & centre! 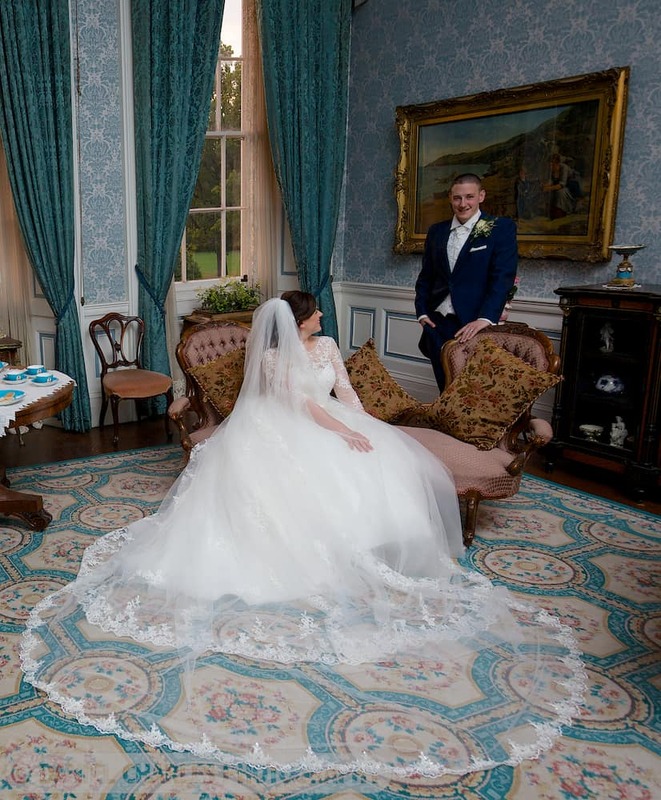 Daniel Charles Photography captured our wedding on 20th March 2016, at Thornton Manor. 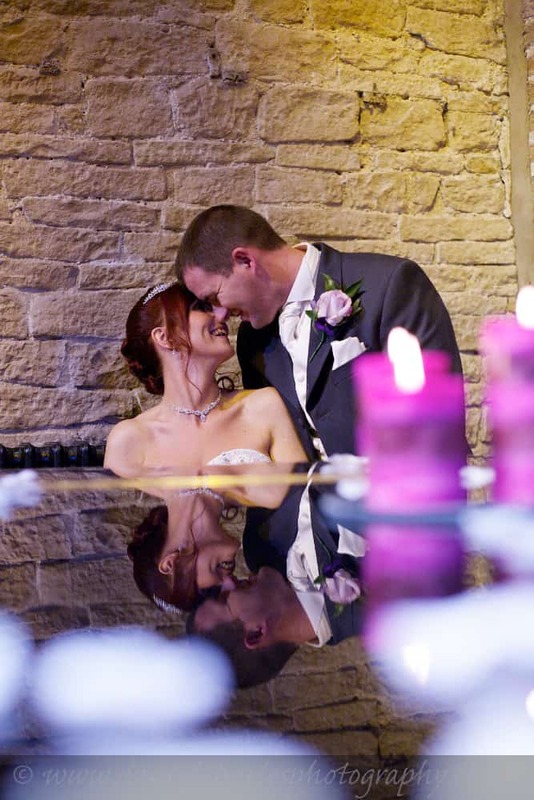 We were drawn to Dan by all the 5 star reviews he had online, and we soon found out why he had such brilliant reviews. We had an initial meeting several months before the wedding and we never lost contact. We met this lovely chap who from then on became more of a friend rather than “just a photographer”. He helped us with every aspect of the day and gave us advice about how and when to do things – all of which was very appreciated (admittedly, we hadn’t done much thinking about the whole day’s itinerary!). Dan made sure never to step on our feet and overrule our own plans; he simply used his experience to help us refine them. Fast forward to the day and he was there early. Dan brought a fantastic assistant with him and throughout the entire day, never left us, capturing every moment. Predictably, our wedding overran, but Dan was understanding of it, and stayed on to ensure we had the first dance captured too. We will be forever grateful for all the hard work, effort and understanding Dan put into our special day. The album he created is sublime and we are looking forward to holding the final piece in our hands. We have no hesitation in recommending Daniel Charles Photography to anyone and will happily testify for him. We are so happy with our Graphistudio album; it’s everything we imagined it would be. Dan listened to our ideas and did such a good job at getting the shots we wanted. 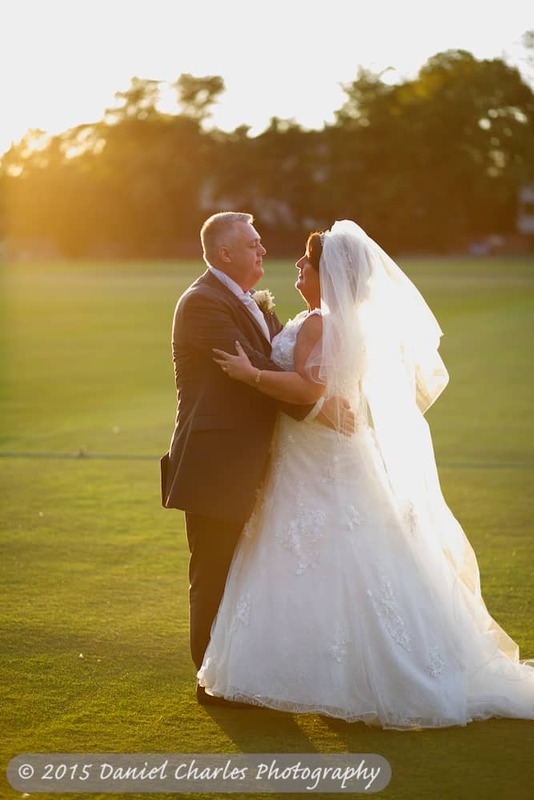 It was important that I felt comfortable with the photographer, so it was lovely to have both Dan and and his assistant working together to make sure I was relaxed… she was fab at fixing my dress and making sure everything was in place. We had a perfect day and it’s wonderful to have it captured in our wedding album for years to come. I can’t begin to thank you enough for everything you did for us on our wedding day. We think of the day all of the time and have fantastic memories and it definitely wouldn’t have gone so well without your help. The feedback from the guests was fantastic. They said you made them all relaxed whilst managing to get the job done at the same time. The albums and photographs are absolutely amazing and brought back such happy memories. We will look back on those pictures for the rest of our lives and everyone agrees how amazing they are. I can’t thank you enough for everything you have done for us; often going above and beyond what we expected and making the day and the memories perfect. Lyndsey and I carefully researched the best photographers in Liverpool. We wanted someone personable, friendly and dedicated. We felt that Daniel Charles Photography ticked all those boxes but Dan went beyond our expectations and performed to the highest standard. We couldn’t have asked for more. From the moment Dan arrived and greeted us by the big wheel at Albert Docks to the very end of the day, we felt completely at ease. Dan came along to the relevant meetings with the wedding organisers, therefore gaining a thorough understanding of what was expected of him. As a result, he knew quickly how to respond having a full awareness of those of importance who were present and then subsequently producing awe inspiring pictures. Dan went to great lengths to ensure each person he was photographing were correctly positioned and happy to be photographed. We felt that his friendly nature and expertise produced absolute quality in every way. We are very proud of our incredible Graphistudio album. We would highly recommend Dan; we are 110% sure that he would deliver at any location for a wedding. We would like to take this opportunity to formally thank you Dan, and we would also like to highly recommend your services to forthcoming clients. We wish you all best for the future and hope that we will stay in contact. I just wanted to say a massive massive Thank You from me & Paul not just for being our photographer but for being part of our special day. You made everyone feel really relaxed & they didn’t feel like they had to stand on ceremony with false smiles during any part of the day. All the guests have commented on how fantastic you were, from getting on the bus at the Roby pub to finishing with our first dance. I wouldn’t think twice about recommending you to anyone else planning to get married. Hi Dan, Just wanted to say thanks so much. The albums are just amazing. Both mums were absolutely thrilled on Mothers Day with their extra special gift. The mini books have gone down a treat and the calendar is something to look forward to for next year. Gary & I won’t hesitate to recommend you. Thanks again and all the best. Hi Dan. Just wanted to drop you a quick note to say thanks again for your efforts yesterday. We had a great day and it couldn’t have been any better. We’ve also had some feedback from the guests who were impressed with how you handled the shoot and they’ve said what a nice bloke you were. Can’t wait to see the pictures! Dan, just want to thank you so much for being an amazing photographer and helping to make our day so special. We hit it off straight away – with a little help from the pixies…[I sometimes joke that Graphistudio albums are so good, they must be handmade by elves!] 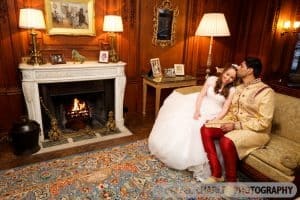 It was really helpful that you met us at the Castle before the event so you were well prepared on the day, helping to make things run smoothly. You were focused on the day and well organized, but in such a friendly way you became as much a member of the wedding party as the rest of the guests. We all felt relaxed and happy; there was no barking of orders or frantic race against time, and the timing was absolutely perfect. 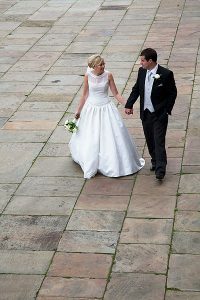 We are so happy with the results too – no mean feat as we got the only rainy day in May! The pictures really captured the mood of the day and the personalities of the guests. We really appreciate the care you have taken to make sure we are happy with the choice of album, and then pandered to our every whim to make it just how we wanted – your efforts and skills as a graphic designer really shine through in an amazing album which we have loved showing off! 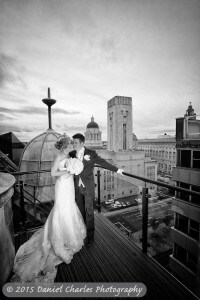 We would highly recommend your services as a wedding photographer (we already have recommended you in fact!). Thanks again for being so brilliant! Just wanted to say thank you for making the whole experience of our wedding photography so amazing. From our first contact with you until the final product you were a true professional. On the actual day so many people have commented on how friendly you were and we found it easy to spend the whole day with you! Choosing the photographer was the hardest decision we made and we haven’t regretted it for a minute. Can not say enough about how much we love our album – you have captured the essence of the day and who we are as a couple. Our album enhances our very happy memories. We would not hesitate to recommend you to anyone! Thanks Dan; you made what could have been quite an uncomfortable experience of being photographed all day very relaxed and enjoyable. You’ve captured the day wonderfully and the album is better then we ever thought possible! 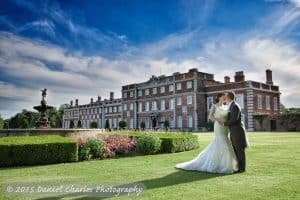 On your wedding day you place all your trust and hopes to capture the essence of a perfect day in your photographer’s hands. Dan simply does not disappoint; he brings boundless energy and vision to ensure you achieve the best pictures possible. In sub-zero temperatures (the only supplier who made it through the heavy snow! ), Dan professionally encapsulated the winter wonderland setting of Clearwell Castle. By the end of the wedding day, Dan had become an extended member of the family. And the pictures – wow! They are so beautiful and Dan captured so much. Every time we view them, they bring tears to our eyes. We cannot recommend Dan highly enough but we will try: Perfect Wedding = Perfect Photographer = Daniel Charles Photography. Thank you.